Mailbag: Should I go to Law School? I’m currently a sophomore at [X University], and I am pursuing a career ultimately as a college basketball coach. Right now I am majoring in Law and Society with a pre-law concentration. I plan to attend to attend law school and focus on learning business law. I want to use that to parlay my way into working with athletics whether that be college or professional and eventually build up connections so that I can become a coach. I would like to volunteer during my undergraduate summers, but I am not sure how exactly to gain entry level experience at least not the kind that would qualify for a position somewhere. I have spoken with my school’s head men’s basketball coach and his advice to me was to volunteer at as many camps as I could since the attaining a job along these lines is about networking. I have been following your blog for a few months now and saw your opinion on law school not too long ago. I have also seen and read several blogs about whether it’s worth it to go to law school. I would just like any advice you can give me. I have thought about not going to law school, but if I do not go to law school I diminish any chance I have for job security in the future;because the coaching option leaves me with a major that doesn’t lead to any profession. I would also have to rely on chances of getting to know the right people still with no guarantee of even an assistant job. You can see how these thoughts are my most important life decision now, and I know I am following a similar path as you so I would just like your advice. Thank you in advance for all your help. As this person indicated, I have written about whether you should attend law school in the past. To sum it up, my general answer to whether you should go to law school is to ask if you’d be happy practicing law if your plan to work in sports doesn’t work out. If the answer is no, don’t go to law school. If the answer is yes, then I still think law school is a maybe. If you can go for free, then go. Otherwise, you better really understand what you’re getting into: the expense of it, current employment rates, etc. It sounds like this person would indeed want to work in law if coaching didn’t work out… yet I’m not sure I’d advice them to go to law school. While I think a law degree is useful for innumerable things, there’s no real reason to have one if you want to be a college basketball coach. Given the market the past four years or so, I’m nervous that you think a law degree gives you job security. I know many out of work attorneys right now with years of experience, and I’ve read quite a bit about the struggles recent graduates are having. The employment rates aren’t what they used to be, and neither is the money. A law degree is not a safety net or a guarantee of lifelong job security. So, if that’s why you want to go to law school, I’d say you’re probably not going for the right reasons. If, however, you understand the risks – you’ve really researched the current market – then I’d still say law school is a maybe. Will law school still allow you to pursue coaching opportunities? You need to talk to law students and understand the time commitments. I didn’t have time for anything but school my first year and a half, at the very least. Then over the summer you might have to choose between working in law and working in coaching. Whichever you don’t do becomes less likely to be your future career. Both really require you to work in the field and build relationships to succeed. Can you do both simultaneously? I don’t profess to be an expert on getting into coaching. You’ve done the right thing by talking to the coach at your school. Did you talk to him about your law school plans? If not, I think you should. Then I’d seek out other coaches for advice. Since you’re only a sophomore, work on getting that coaching experience. Volunteer for any camps your university might host this summer. Find a local high school program that’s well-respected and volunteer with them. Anything you can do to get experience. If you get some experience, I think by the time you’re a senior you’ll have a better idea of whether coaching is the right path for you. If not, then you can still consider law school. It sounds like coaching is your passion, not law school. That’s why I say to pursue coaching opportunities first. Anyone else out there with more experience in this area have advice for this person? 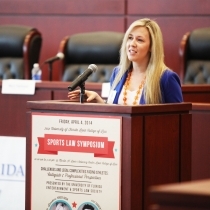 Kristi A. Dosh is a sports business reporter and analyst who has reported for such outlets as ESPN, Forbes, Campus Insiders, Bleacher Report and SB Nation. 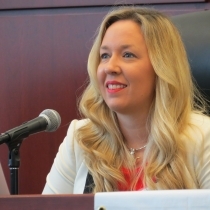 She's also a content marketer, recovering attorney, professor and career coach. 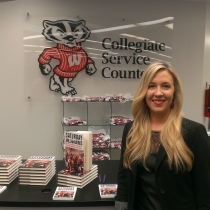 Kristi's book on the business of college football, Saturday Millionaires: How Winning Football Builds Winning Colleges was released in 2013. Find Kristi on Google+, Twitter, Facebook and LinkedIn. As someone who traveled a similar path which includes college basketball coaching and law school, my advice would be not to attend law school, yet. The coaching ladder is filled with low-paying job after low-paying job, something that isn’t practical with typical law school debt. Even if you are able to get out of law school with little or no debt, there won’t be a better time to work those low-paying jobs in random cities than in your early/mid 20s. You’re used to eating PB and J and Ramen, so continuing that lifestyle isn’t too disruptive. Law school isn’t going anywhere, and you can always go later. In fact, more and more legal employers (and therefore law schools) value someone who has worked in the real world prior to going to law school. Oh and your coach and Kristi are right about working camps. That’s the advice I got as well, and my coaching jobs came as a direct result of working four different college camps in one summer between my junior and senior year. Those are my thoughts; best of luck to you!